The annual series of public poetry and fiction readings, lectures, symposia, and occasional dramatic performances at the Library of Congress (LOC) began in the 1940s. When I joined the LOC staff in 1957 as assistant to the editor of the LOC Handbook of Latin American Studies, I developed a friendly relationship with then Poet Consultant in Poetry, Richard Eberhart (1959-1961). After one of our luncheons together, I told Richard that, while I appreciated the LOC readings by well-known poets, I thought a series outside of LOC for younger, relatively unknown poets was needed. That year, 1959, I negotiated with Reverend Dr. James J. Reeb of the Universal Unitarian Church on 16th and Colombia Road to rent a room at the Church for bi-weekly (every two weeks) poetry readings by younger poets. He charged me $5.00 per rental; in turn I charged participants $3.00 per attendance. The readings brought together about 8-15 participants and from the monies I received, I paid for the room-rental and also paid readers $20.00 (often made up with out-of-pocket). After each session, the reader and participants were invited to walk over to my small apartment on 18th and Columbia Road. I am truly sorry that I did not keep a record of the poets who read from their works. These were featured reading, one person per session. Shortly after the younger-poets series began, Richard told me that he wanted to read at my series, and although I protested (mildly) that he was not a ‘younger’ poet, he insisted, and of course I was delighted to include him in the series. Needless to say, Richard brought the largest audience (over 40 participants) and, of course, would not accept the remunerative fee for reading. Also, needless to say, he gave the series a terrific boost. The readings at the Universal Unitarian Church during that period (1959-1961) were the first in DC outside of those hosted by the LOC. It was an especially exciting time in my life. Unfortunately neither Rev. James Reeb nor Richard Eberhard are still with us. Last year, the current Pastor at the Universal Unitarian Church, Reverend Dr. Hardies, accepted a poem I wrote in honor of Dr. Reeb. Below is the commemorative poem I wrote in Rev. 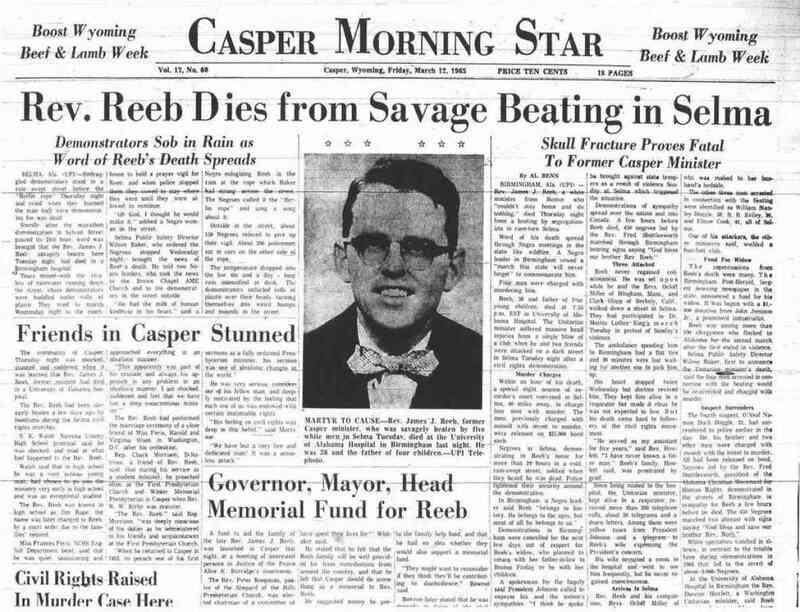 Reeb’s honor, following his death in Selma by thugs opposed to integration. 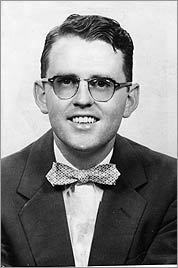 Dedicated to Reverend James Reeb (1927 – 1965), a white American Unitarian Universalist minister from Boston, MA, a pastor and civil rights activist in Washington, DC; murdered in Selma, Alabama. and carry light throughout a hostile land. to pass this way and not another, who knows. to swell the ranks against the urge to hate. the odium in life no age shakes off. Thank you for sharing both your poem and your memories of the readings. Rev. 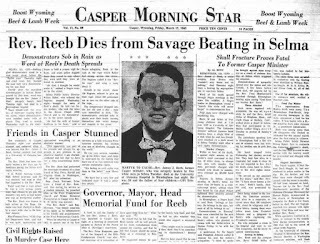 Reeb is a hero--how fortunate you were to have met him.